What do you do up there in winter? Some years ago there were three, large, inoperable picture windows on the northwest side of our house, which was odd. Living in the North Country (upstate New York), it is a known fact that most of our weather comes from the west. To have that side of a house shut off from those accessible breezes is unthinkable. As soon as we amassed a little renovation money, we replaced the three fixed windows with casements, a slider and a deck to encourage walking out. The annual spring celebration happens when the temperature hits a balmy sixty-five degrees and all those windows are opened for the first time to allow the spring breezes and bird song to stream through after the long winter. 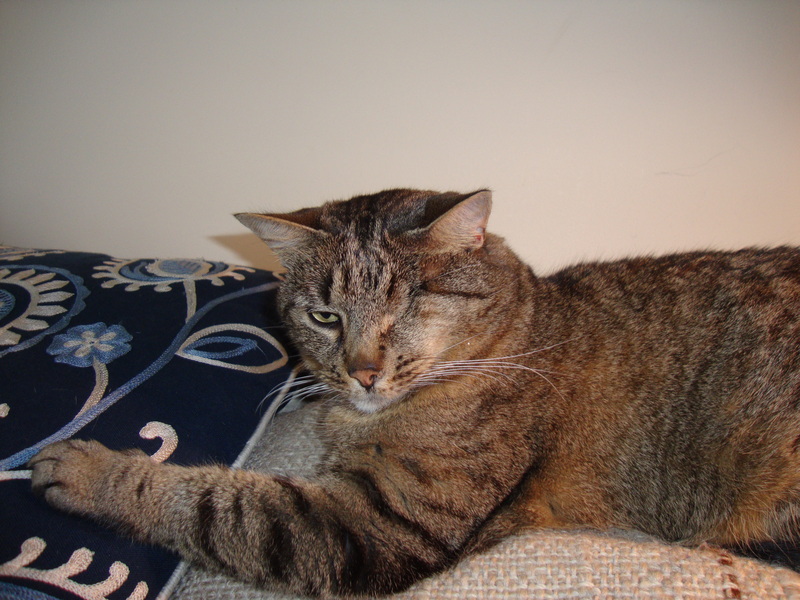 The saddest day of the year is when we shut the windows and slider against the cold and now forbidding winds and occlude the less than musical clamor of the jays and crows. 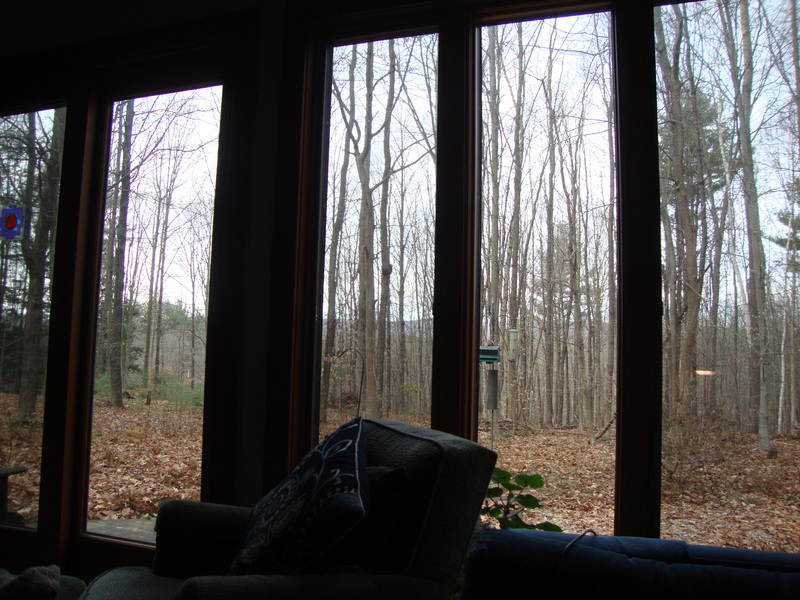 So it was at this time I returned from extensive knee surgery in early November and assumed the pose of recovery on the blue couch with the view to the woods and the foothills of the Adirondacks in the distance, the bird feeder in the foreground. 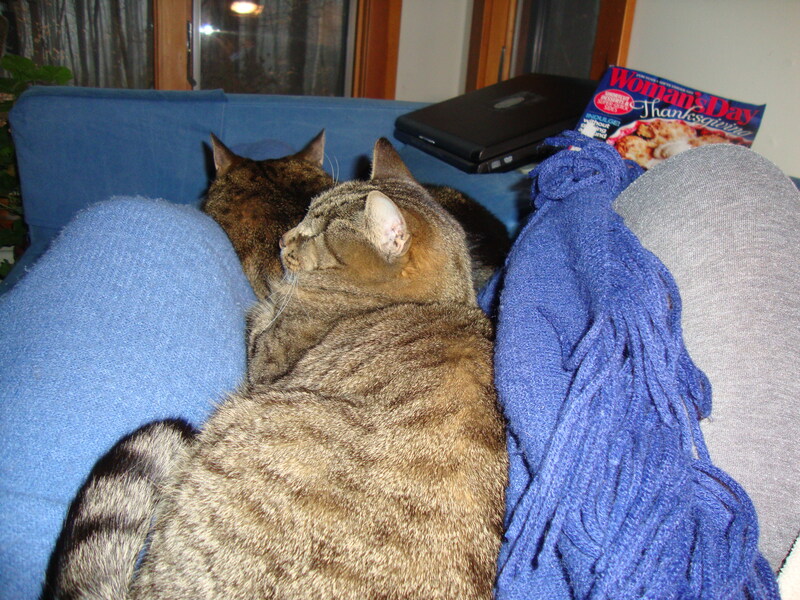 The two cats joined me in practiced positions, testing the new bionic joint until it ached and all of us had to move. 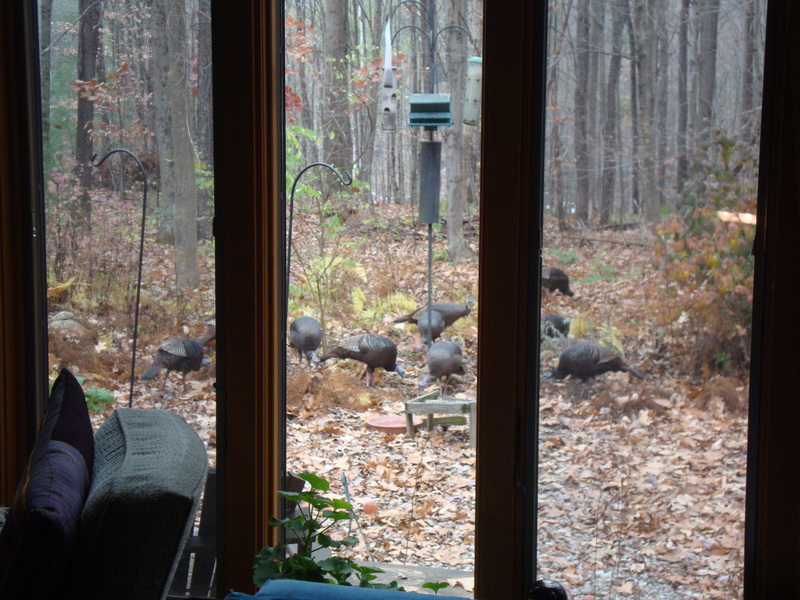 …and this just a week before Thanksgiving! There were eighteen of the evolved dinosaurs going after cracked corn. My temporary immobility in the face of all this nature outside the now operable but closed up windows, is as much an ache as the new, operable and yet unnatural and painful knee. Part of me is bone on bone in spite of the repaired joint. I doubt I will snowshoe this winter, let alone cross-country ski. This torments me as much as my excellent physical therapist who stretches, presses and bends the stupid joint to her will so that maybe one day I can return to those old activities. 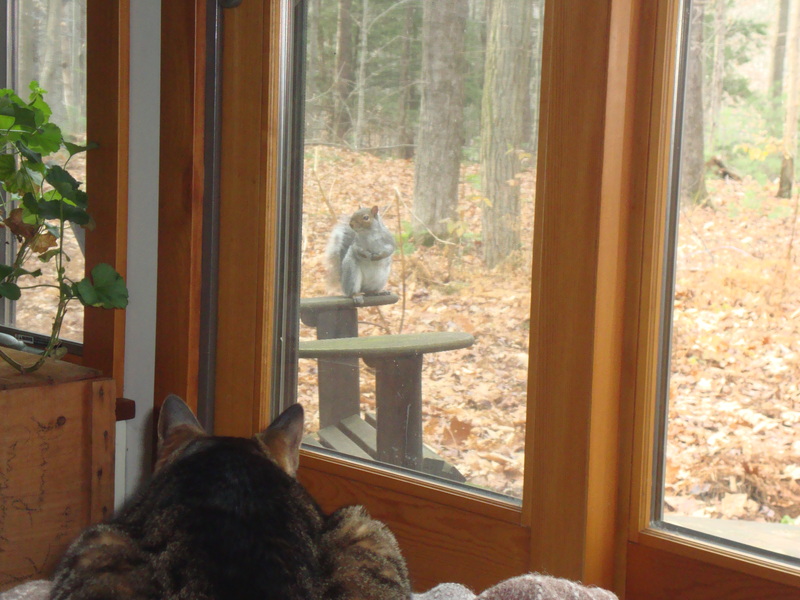 The squirrels torment the cat with the protective glass between them, a bit unfair. I only watch as the cat does. So near and yet so far, like the hills I used to hike and ski in the distance there. like dust, like washed ashes.